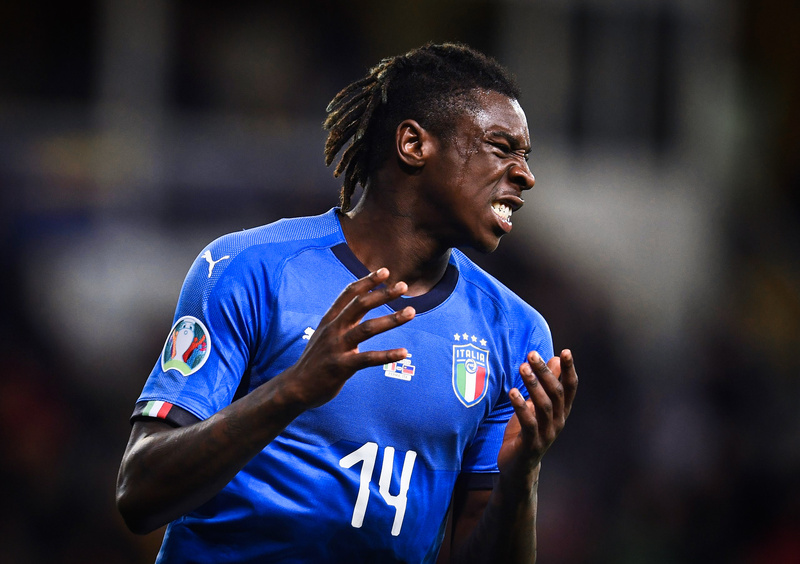 How far can Moise Kean, Italy's resilient golden boy, go? Since calcio’s fall from the pinnacle of the game, Italian pundits and aficionados have often prematurely labelled the peninsula’s next generation of stars as their saving grace. After nearly a decade of substandard results and planning, hope is all Italian football had. They held onto a belief that one player could galvanize a nation; the next Totti, the next Del Piero, a true fuoriclasse. And so, calcio went on a desperate quest for this transcending character, burning countless young players’ reputation in the process. What this led to was a high-pressure culture in Italy where immense expectations were thrust onto those least prepared to handle it. For the most part, after a good run of form, most of these young players that calcio deemed destined for greatness quickly faded, and largely went on to have disappointing careers. First, there was Mario Balotelli. The divisive character broke onto the scene at José Mourinho’s treble-winning Inter, yet he allowed his explosive personality to get the better of him despite his obvious talent. Today he plies his trade at Marseille, and looks like he will never fulfill his immense potential. After Super Mario, Sassuolo’s Domenico Berardi came and went. The winger was supposed to be Italy’s solution to their creative problems in the final third, however, after rejecting multiple returns to parent club Juventus, Berardi became complacent and stagnated with the Neroverdi. Much like Balotelli, Berardi is yet another case of what-could-have-been for Italian football and serves as a stark reminder to future stars not to get too comfortable in their ways. After all, his path could have been different had he left his comfort zone and challenged himself anew at Juventus. The big fish in the small pond syndrome personified. Fast forward to today and Italian football has chosen their next superstar: Moise Bioty Kean. But this time it feels different. Parallels will undoubtedly be drawn with some of Italy’s failed stars from the past, but Kean has made the most of every opportunity afforded to him thus far, and has regularly demonstrated he’s ready to take calcio by storm. While his consistent goalscoring record across all levels speaks for itself, it’s his character that sets him apart from others, and should allow him to succeed where his peers have failed. “I am not Cristiano or Messi, but I hope one day, with hard work, I’ll be able to reach that level,” said Kean to Sky Sport Italia after scoring a crucial winner against Empoli. “Hard work is the only thing that can help me demonstrate what I am worth every Sunday,” added the youngster. With many injuries to Juventus’ front line, Kean was expected to start against the Tuscan-based side that night, but was a late exclusion by Massimiliano Allegri. Rather than letting that adversely affect him like other young players may, Kean bided his time on the bench and mentally prepared himself for his inevitable entry. Entering a stalemate with just over 20 minutes to play, it would only take the 19-year-old 155 seconds to make his impact felt after latching onto Mario Mandžukić’s knockdown. Confronted by the goalkeeper, Kean didn’t think twice, slotting home ruthlessly past a helpless Bartłomiej Drągowski and handing his side an important three points on their path to their historic eighth consecutive Scudetto. In doing so, he became the youngest player since a certain Balotelli to net eight goals in Serie A. His goal would also earn him high praise from captain Giorgio Chiellini, who likened the strike to another Juventus great. “Kean attacks the goal in a frightening way. He scored a Trezeguet-esque goal. Moise must continue to do what he did this year,” said Chiellini in the mixed zone. However, it was Kean’s next game that was easily the most difficult of his young career – for a number of reasons. 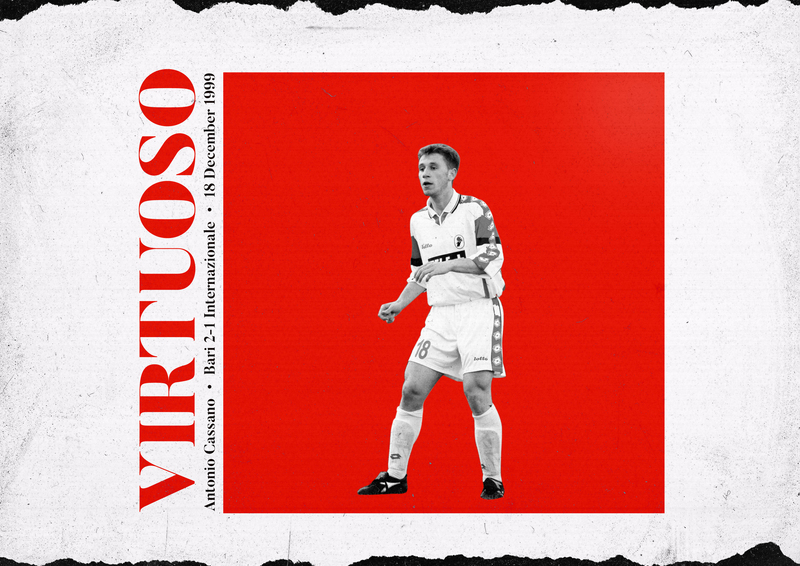 Travelling away to Cagliari is never an easy fixture in Italy, contrary to what the table might suggest, yet Allegri rewarded the 19-year-old with the full 90 minutes. Throughout the game, Kean’s touch often let him down, and he was struggling to impose himself against Cagliari’s veteran rearguard. It was arguably his first poor game since breaking onto the scene at Juve. To make matters worse, a section of the Cagliari fans consistently hurled racial slurs at Kean, attempting to provoke him with monkey chants throughout the clash. Kean didn’t let it affect his game and continued to work tirelessly, demonstrating he’s mature beyond his years. As fate would have it, the Italy international was rewarded for his determination, scoring Juventus’ second goal on the night, his fourth strike in his last four competitive games across all competitions. Rather than taking aim at the offending fans, who had been abusing him all night, Kean simply stood there in front of them with his arms outstretched – calm, cool and collective in front of a cohort of angry, racist fans who wanted nothing more than to see him fail. That gesture on its own spoke volumes of the young striker’s strong character. Since emerging as one of Italy’s premier attackers, Kean has managed to regularly find the back of the net, despite limited minutes. Currently, the 19-year-old is averaging a goal every 50 minutes for Juventus, with six this season, and is showing Allegri he’s raring to go. In fact, he’s arguably Juventus’ most in-form forward right now. Without his contributions, the Bianconeri wouldn’t be on the verge of their next Scudetto. 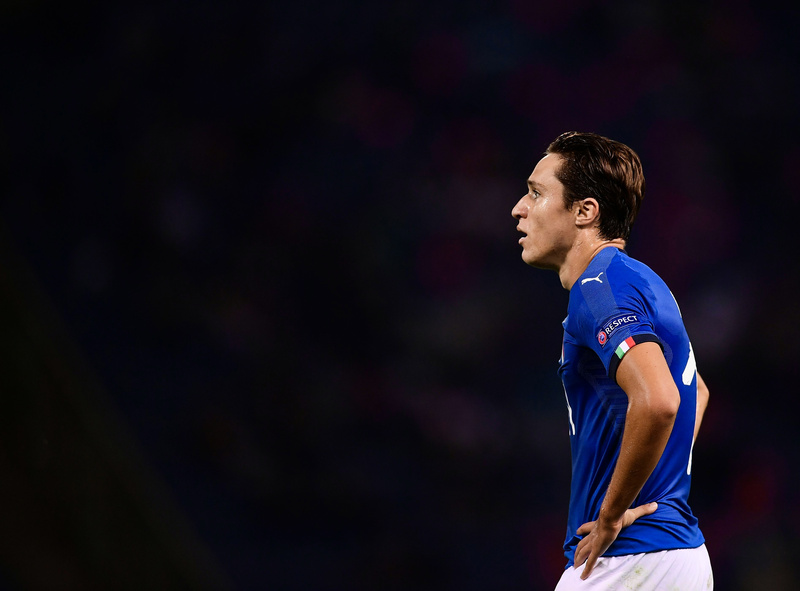 Italy boss Roberto Mancini took notice of the young striker’s good form and recently called him up ahead of Gli Azzurri’s Euro 2020 qualifiers, in the search for fresh blood in the final third. With Ciro Immobile and Andrea Belotti disappointing under Gian Piero Ventura’s guidance, it was time for new players to be given a shot. Much like it has been the case his entire career, from the under-17s to the under-21s, Kean didn’t disappoint and netted a goal on his first start against Finland. Played through one-on-one by Immobile, Kean slotted home expertly and put the game to bed, once again highlighting his instinctive movement and deadly finishing. The Juventus man became the youngest player since Edoardo Mancini to start a game for the national team since 1912, and became the youngest to score for the Azzurri since 1958. The 19-year-old would follow up his impressive performance with another goal against Liechtenstein. With just the goalkeeper to beat from six yards out, he netted his second goal for Mancini’s side in as many games and proved to everyone, contrary to popular belief, that Italy have a number nine they can trust again. Until then, no player had scored in back-to-back games for Italy; it only took Kean two starts. While it’s still early days, Kean has demonstrated all the qualities necessary to become an effective number nine at the highest level. 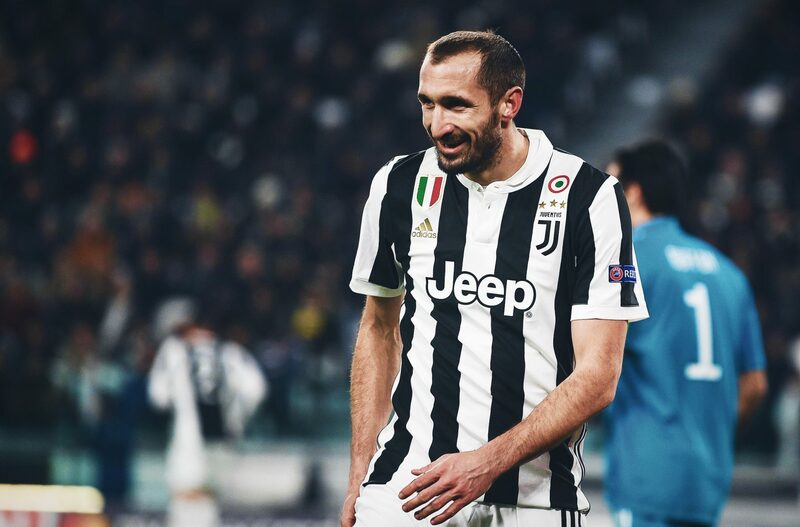 The Juve man possesses an innate ability to be at the right place at the right time, and has already shown he rarely needs a second invitation to punish defences. In fact, his first three shots in Serie A this season all resulted in goals. His instinctive nature in the final third and finishing ability will help him continue his ascendancy to the top. Couple that with his resilience and it’s clear: unlike many complacent Italian talents before him, Kean will not stop until he’s regarded as one of the best number nines in the world. And who better to learn from than five-time Ballon d’Or and Champions League winner, Cristiano Ronaldo. “It’s impossible not to learn from a champion like that. Every day, I watch him and learn,” said Kean. Playing alongside superstars like Ronaldo and Paulo Dybala is something that will help Kean in the future, but his Juventus career could have been very different. After all, he initially started plying his trade in Italy with the Bianconeri’s cross-town rivals Torino. The youngster was first noticed by a former goalkeeper, Renato Bassi. After impressing in Asti’s youth teams, he then signed with i Granata. At the age of 14 – when a primavera player’s contract is no longer auto-renewed – Kean made the move to Juventus and hasn’t looked back since. Despite his recent success, his ascent would not have been possible without Allegri’s guidance. In the January transfer window, Bologna, amongst others, queued up for Kean’s signature, offering more playing time in order to develop his game. For a youngster on the fringes of the first team, this would normally be enough to entice him to move. However, Juve’s top brass stepped in immediately, Allegri informing Kean he had more to learn at the club than playing for a mid-table side. Opting to bet on himself – a hard decision considering their plethora of world-class options in the final third – the young striker stayed and competed for more minutes. Today, he’s reaping the rewards of his decision and is seen as the future of the club. In recent times, prominent Italian media outlet Gazzetta dello Sport have reported that Kean is closing in on a renewal with the club until 2024, worth €2m per season. His pay raise will reportedly be coupled with guarantees regarding playing time, highlighting his growing importance in Turin. While Kean has displayed that he has all the tools to succeed both at Juventus and at the international level, it’s best that the Italian media learns their lesson and lets the 19-year-old flourish on his own without bestowing unrealistic expectations upon him. After all, the Juventus and Italy jerseys are amongst the heaviest to don in the world. As a young striker at one of Europe’s elite clubs, it’s only normal that there will be growing pains. Moise Kean, however, has shown that he’s ready to tackle them head-on and take his game to the next level, as he has done regularly throughout the years.